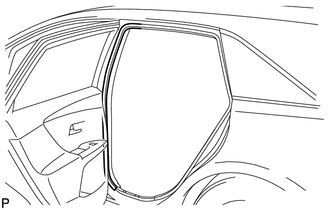 (a) Remove the rear part of the front door opening trim weatherstrip to the extent that allows removal of the lower center pillar garnish and center pillar garnish. 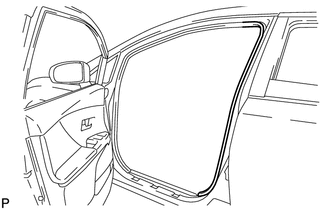 (a) Remove the front part of the rear door opening trim weatherstrip to the extent that allows removal of the lower center pillar garnish and center pillar garnish. 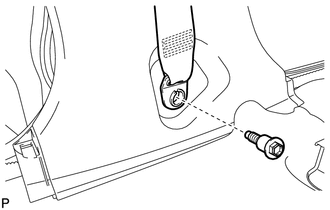 (a) Disengage the 3 claws and remove the lap belt outer anchor cover. 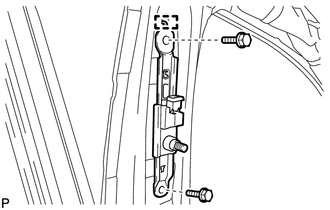 (a) Remove the bolt and disconnect the floor end of the front seat outer belt assembly. 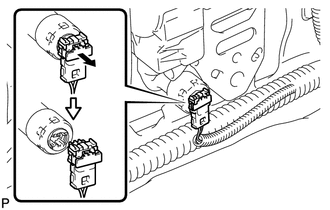 (a) Remove the nut and disconnect the shoulder anchor of the front seat outer belt assembly. 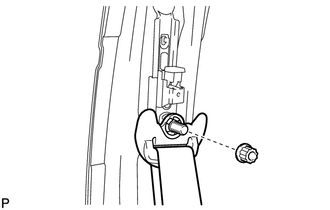 (b) Using a screwdriver, pull out the locking button in the direction shown by the arrow to release the lock, and disconnect the pretensioner connector as shown in the illustration. 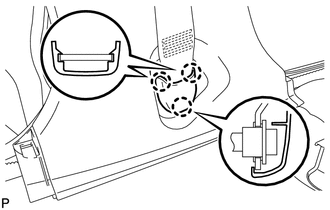 (d) Disengage the 2 guides and remove the front seat outer belt assembly. 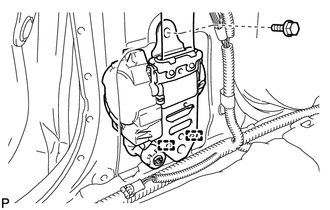 (b) Disengage the guide and remove the front shoulder belt anchor adjuster assembly.